Mumbai is known for the plethora of entertainment and sightseeing opportunities it offers. The city gives visitors and locals plenty of ways to relax, explore and have fun. Whether it is shopping, eating out, or going for mini trips along the outskirts of the city, you can do it all in Mumbai. One of the best ways to enjoy an entire free day with your friends or family is to visit one of the many amazing amusement parks. 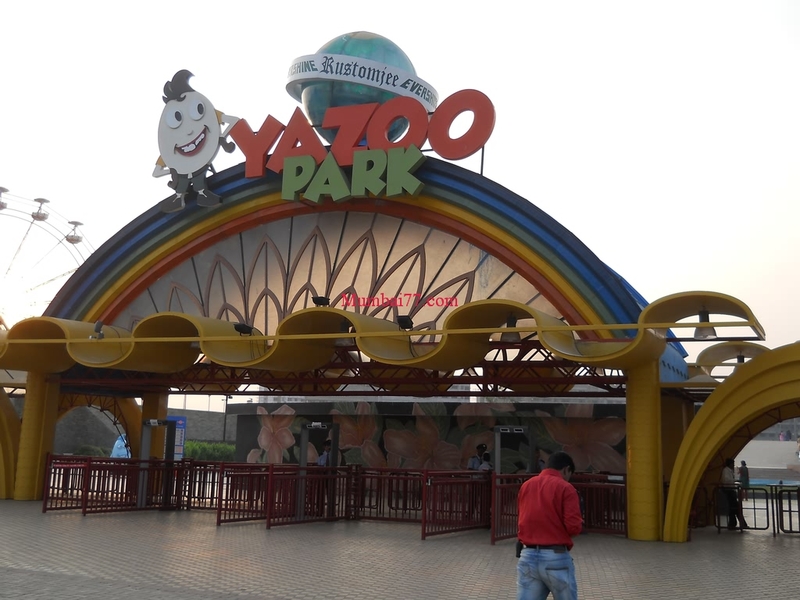 Here are the 15 best amusement parks in Mumbai to consider when planning your next outing. The Imagica Adlabs amusement park is one of the newer parks in Mumbai. Inside Imagica, there is a water park, a theme park and even a snow park with games and rides that will thrill the entire family. The highlight of Imagica Adlabs is the themed rides: enjoy fairy tale, movie and mythological rides. The water park has some cool slides such as the Floatsa and the Loopy Woopy, while the snow park gives you the chilly experience of Antarctica. Essel World is one of the oldest and most famous amusement parks in Mumbai, ranking high on the nostalgia quotient with its citizens. The park is ideal for a family or an office picnic. The rides at Essel World range from thrilling to relaxing, so there’s something for everyone to enjoy. Children can enjoy the Alibaba Adventure Mirror Maze and the Kangaroo Hop, while adults can be entertained by thrilling rides such as Top Spin and Enterprise. If you don’t fancy the adrenaline pumping rides, Go-Karting and Highway Cars are two low-key rides to try. The Vardhman Fantasy Amusement Park is not as popular as the other amusement parks mentioned here. It lacks the vast number of rides and slides you’ll normally find, but it is still a great place to go to for a relaxed day out. The entry is just Rs. 2, though you are charged more according to the rides you want to take. Some attractions at the Vardhman Fantasy Amusement Park are the replicas of the seven wonders of the world, a giant wheel and a few boating rides. The park is ideal for a romantic day out, or for people who are looking for a low key outing without too many rides and slides. An indoor amusement park, Snow World is a one-of-a-kind experience to enjoy with your friends and family. The park is constructed to international standards and looks like a winter wonderland, featuring activities such as skiing, ice-skating and snow sledding. 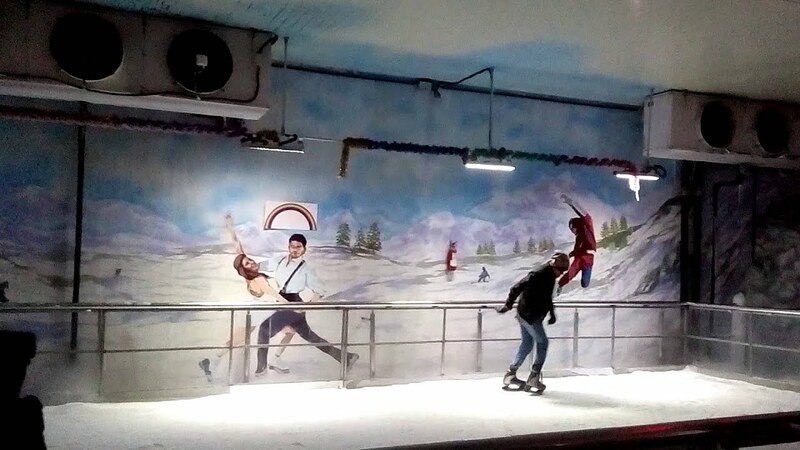 At Snow World, you are charged by the hour so you will have to make sure that you enjoy all the activities at the park within the time you have paid for. Visitors are provided with jackets, gloves and other equipment to protect from the cold. The cost of this equipment is all included in the entry fee you pay. Timezone at Infinity Mall will give you the same fun experience you’ll enjoy at an amusement park. Home to many arcades and virtual games, the park is the place for fun activities for kids and teens. Timezone houses Mumbai’s first indoor roller coaster ride. There is also an arcade with a bowling alley, air hockey and other great games. The Yazoo Park is an awesome adventure park to have fun in. Home to great rides, a water zone and fabulous food courts, there is no dearth of exciting things to do at this park. For kids, there is a special zone at Yazoo Park with rides and games that are not only enjoyable but also great for learning. Adults can be entertained by exciting rides such as the Free Fall and Yazoo Express. There’s also a mini spa and a fish pedicure facility – great places to relax after you’ve soaked in all the thrills and fun of the rides. Entry Fee: Rs. 40. Costs for rides are separate from the entry fee. Asia’s biggest water park offers its guest thrilling slides and exciting rides. Water Kingdom boasts fantastic attractions such as the What a Coaster, on which you have to brave a heart-pumping seven-storey drop, and the Lagoon that’s touted as India’s largest aqua play pool. Other big attractions include the Adventures Amazonia, the Wetlantic pool and the Goofers Lagoon for kids. 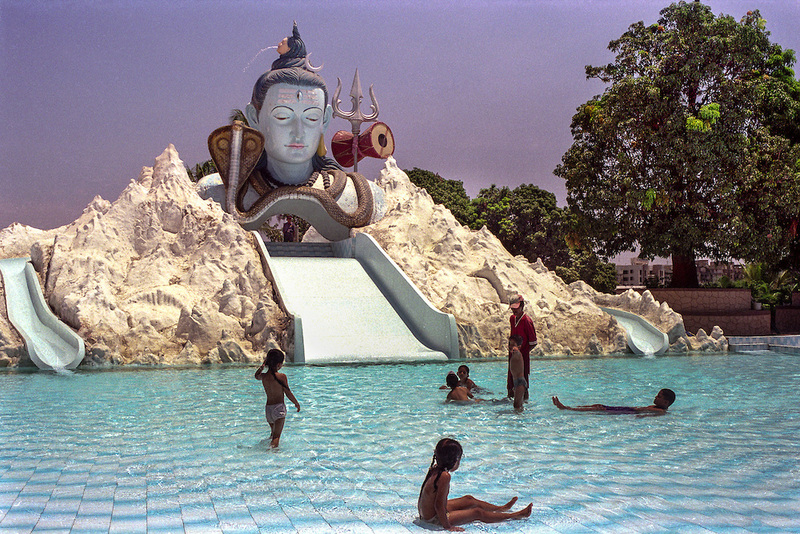 Water Kingdom is located in Gorai. To get to the park you can take a ferry from Marve beach or board a bus from Uttan. Although Suraj Water Park may not match the pedigree of the other amusement parks mentioned here, it’s still a great place to have some family fun with its many rides and slides. The highlight of Suraj Water Park is its water slides, which are great fun for the whole family. Besides water activities, there are a couple of other things do such as walking through a fibre cave and exploring a museum of locks. Once you’ve soaked in all the fun, enjoy lovely seafood at one of the many restaurants located near the park. Tiku-Ji-Ni-Wadi is one of the oldest amusement parks in Mumbai. It was very famous in the 90s, however, after many amusement parks sprung up in the suburbs of Mumbai, its popularity declined over the years. But it is still a great option for a fun day out. Located in Thane, Tiku-Ji-Ni-Wadi has plenty of fabulous rides that are thrilling and fun. You can get a bird’s eye view of the skyline on the giant wheel or enjoy the twists and turns of the worm coaster. Kids can take a safari on the train that goes around the park. The park also houses a dinosaur exhibition throughout the year. Housed among the lovely hills of Pelhar, the Great Escape Water Park prides itself on its incredible water slides. Great for family picnics, expect to have loads of fun at this amazing water park. The food here is quite good too, with plenty of vegetarian options to satisfy your appetite. The park is located about 50 minutes away from Virar Station. You could either book a taxi or a hire an autorickshaw to get here from the station. Located on the Mumbai-Nashik Highway, the Shangrila Resort & Waterpark has cosy and comfortable rooms. This resort also houses a large waterpark called The Big Splash. There are some outstanding water slides as well as a pool that’s very safe to swim in, and the Great Ever-Flowing Waterfall that’ll give you the experience to remember. There is also a kid play park here with interactive games and fun slides. The Anand Sagar Resort & Water Park presents a plethora of water slides, rides and fun activities for kids. One of the most popular slides at this park is the Slide Tower that’s specially designed to offer thrills and excitement. There’s also a waterfall, a pool and a section to enjoy rain dances at the resort. Kids can enjoy many fun activities at the play area that includes a toy train and a few slides. There is also an open garden that’s surrounded by beautiful flowers where outdoor games can be played. From roller coasters to waterslides, buzzing atmospheres to relaxed settings, there are outings to suit every expectation at these amusement parks near Mumbai. Choose from any of these great parks for your next outing – we are sure you will have a fabulous time. If you have any questions about amusement parks, adventure activities or fun places to go to in Mumbai, ask us in the comments below or message us on our Facebook page.